You can now download iOS 11.1 IPSW links and over-the-air OTA update final version for any compatible iPhone, iPad, or iPod touch device. As always, now that Apple has pushed out this latest version of iOS 11, we have all of the details on the latest release from the Cupertino-based company, including exactly how you can get it onto that compatible device. It’s clearly great news for device owners that Tim Cook’s company is continually looking to update and push out new versions of iOS 11. History has already shown us time and time again that Apple isn’t the type of company who will spend a year building and revising iOS with the aim of pushing out a major version and then simply leaving it to stagnate. 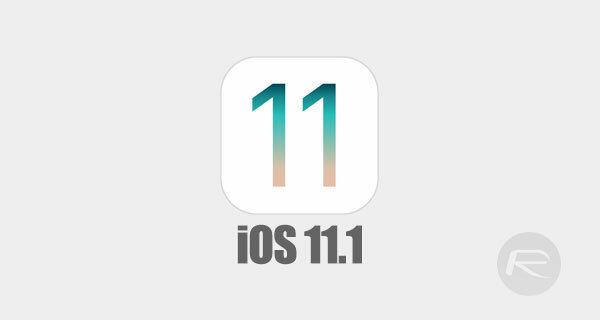 Apple has already issued multiple minor upgrades to iOS 11 since it was originally pushed out to the public back in September, with this iOS 11.1 release a continuation of those builds and by far the biggest iOS 11 update yet. This version also comes with multiple noticeable enhancements that will appeal to all device owners, regardless of type. First and foremost, we have a feature improvement which will instantly make millennials and those who love communicating without using words get extremely excited; hundreds of new emoji characters. 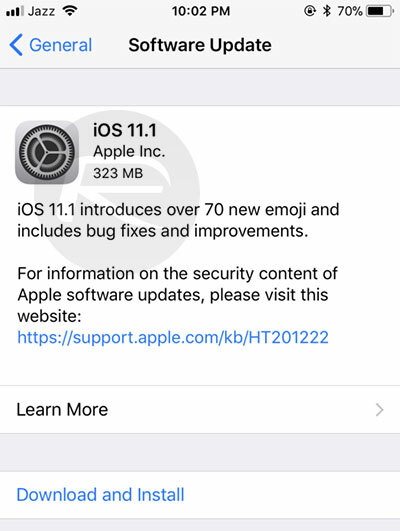 Yes, that’s right, installation of iOS 11.1 will instantly mean that device owners get access to a plethora of new pictures to plop into messages and social media posts. Apple has also brought back the 3D Touch App Switcher gesture as well as the gesture which allows Notification Center to be called into action from the center of the screen when Reachability has been brought into play. From a security perspective, there is also a patch included for the KRACK WPA2 WiFi vulnerability which has been widely discussed over the last couple of weeks. When you add all of these features together and include the fact that the platform release contains a number of other miscellaneous bug fixes and under-the-hood improvements, you start to understand how important a release this actually is. Apple’s iOS 11.1 can be downloaded as an over-the-air update right now via Settings > General > Software Update. If you prefer a fresh installation on that device via iTunes, then you can grab the correct IPSW file for your specific device from the list below. Update x1: You can check out full official changelog and security content of iOS 11.1 here: iOS 11.1 Release Notes, Changelog: All New Changes For Your iPhone Or iPad.